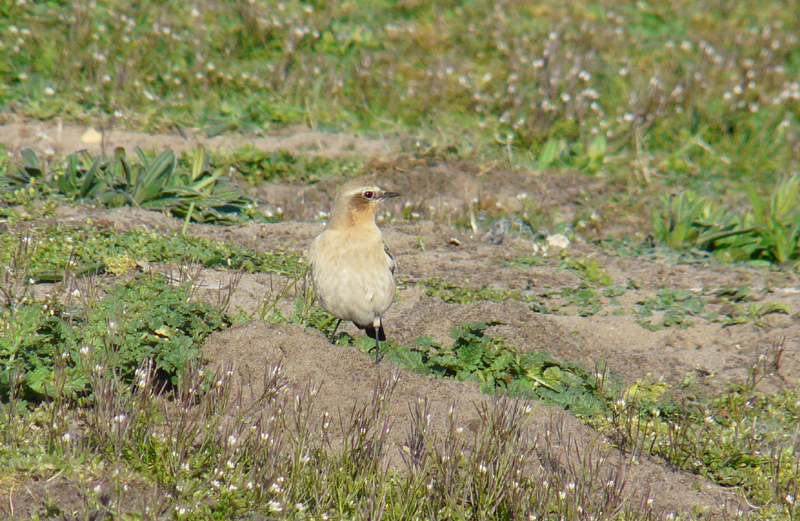 I've been looking at wheatears amongst other things today. There are still lots of them coming through Druridge, favouring the short turf behind the dunes and the haul road. Many of the wheatears coming through at this time of year certainly look different to those that come through in late march and are often thought to be of the subspecies leucorhoa or 'Greenland' wheatears. I've been doing some research into this and it appears to be less than straight forward. 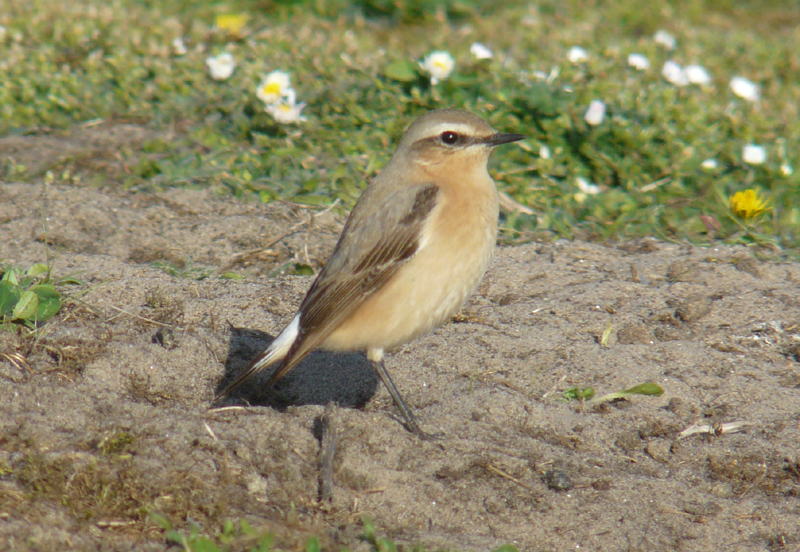 Most references seem to suggest that without taking biometrics it is not clear-cut and these 'big orangy wheatears' that come through here in late April could be of the nominate oenanthe race breeding in the Fenno-Scandanavian steppes. 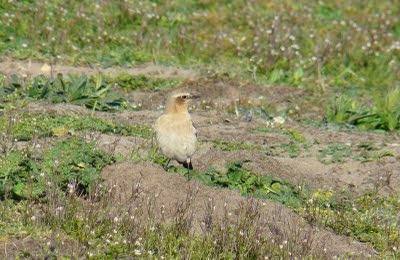 This could be a candidate for 'Greenland', with rufousy underparts extending down to the belly and looks long winged and legged? This one is still rufous, but not as pronounced down to the belly and although not as obvious in this photo didn't stand as 'upright' as the bird in the first photo. I would like to have a go at trapping some of the 'big boys' to get some biometrics from them. 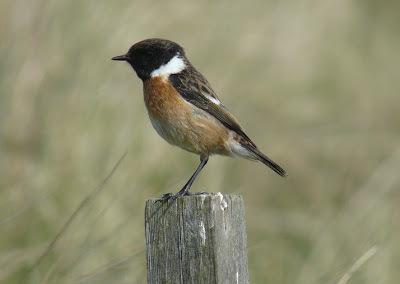 Daddy of the brood we ringed yesterday. The pair were feeding the young today . You must be due on Mull soon - drop me a line and I'll see if I have any time off.